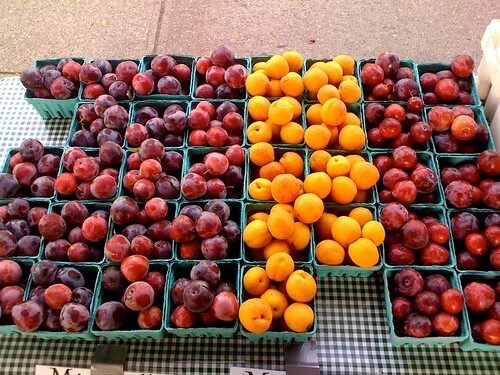 On Saturday, before heading to JFK, I went to the Farmer’s Market with Tammi. I grabbed some apricots and sweet plums (above) for the flight. It’ll be another couple weeks before I can get back to the market, but it sounds like it’s going well. As always, if you live in the neighborhood, I urge you to go out and support it.